The international Economic Forum in St. Petersburg draws the attention of participants from different countries of the world. Here there are the most famous politicians, entrepreneurs, experts, interested in the Forum to discuss key challenges facing Russia, emerging markets and the global community and ready for mutual cooperation. The company "Auto Management" is a regular transport participant of various Russian and international events held in St. Petersburg, has positive feedback and gratitude of the tenants. 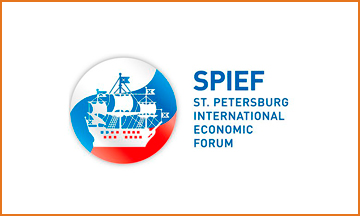 Held in Saint-Petersburg international economic forum 2013. was no exception, and our company has provided the guests and participants of the Forum services transport provision for the entire period of its passing: 2014 and forthcoming 18.06.2015 - 20.06.2015, which will take place in "Lenexpo", Bolshoy prospect V. O. 103, St. Petersburg. (Accredited cars in the accreditation service of the SPIEF 2013). Each year the number of participants exceeds 4 thousand people who come from more than 60 countries. The main audience of the forum вЂ” the heads of major Russian and foreign companies, heads of state and political leaders, heads of government, Vice-premiers, Ministers, governors. The company "Auto Management" provided the following types of cars: - Mercedes Benz S221, E212 Mercedes Benz, Mercedes Benz Sprinter, cars C-Class for rent with driver.